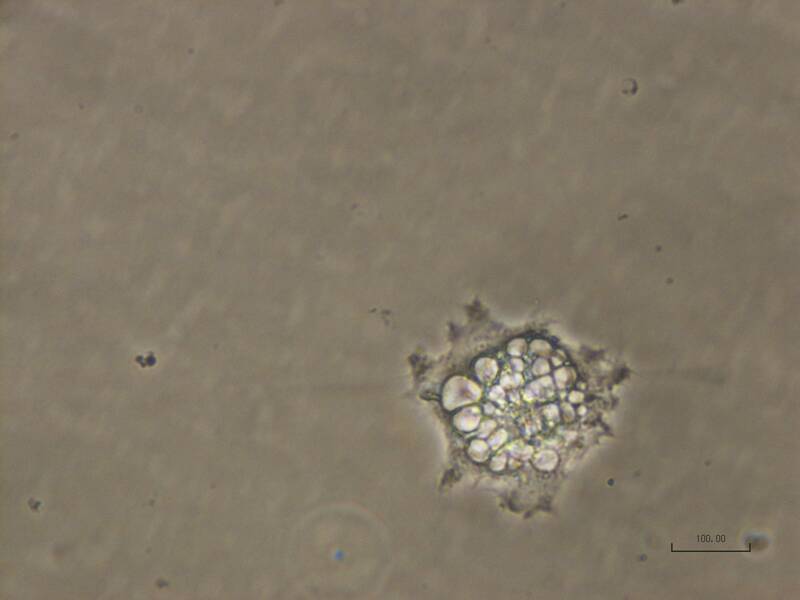 Here are some pictures of human iPS cells in culture. 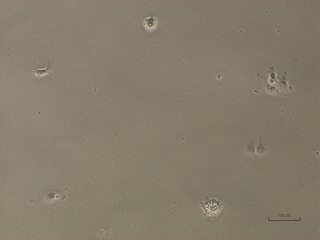 After several passages, some cells look really weird, can you help me understand what is going on? What am I looking at? 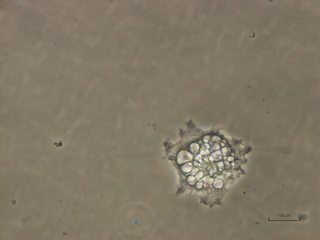 What are those blastocyst-like structures? 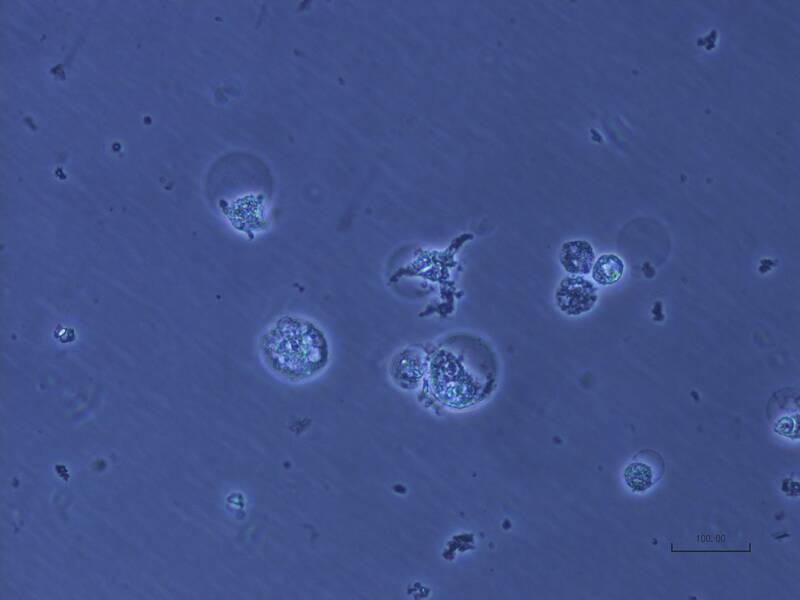 (bluish picture) and what about that cell full of vacuole-like thing? P.S. do not pay attention to the scale bar, it's incorrect. 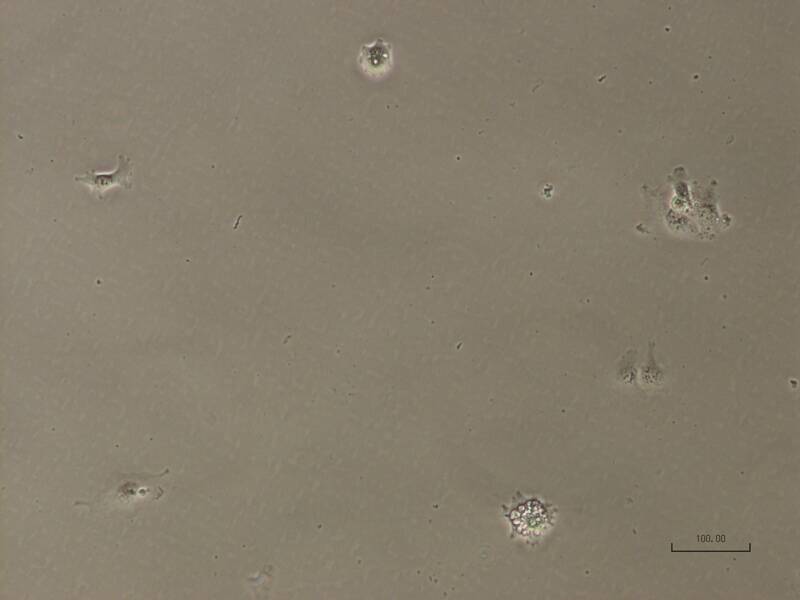 I did not induce them, I got them already dedifferentiated so I can't be specific on that part of the protocol. However, I am growing them in Essential 8 Flex Medium (with supplements as specified from the kit protocol), I add rock inhibitor 4h before passaging them. Passages are done by dissociating colonies using EDTA only (no enzymes). 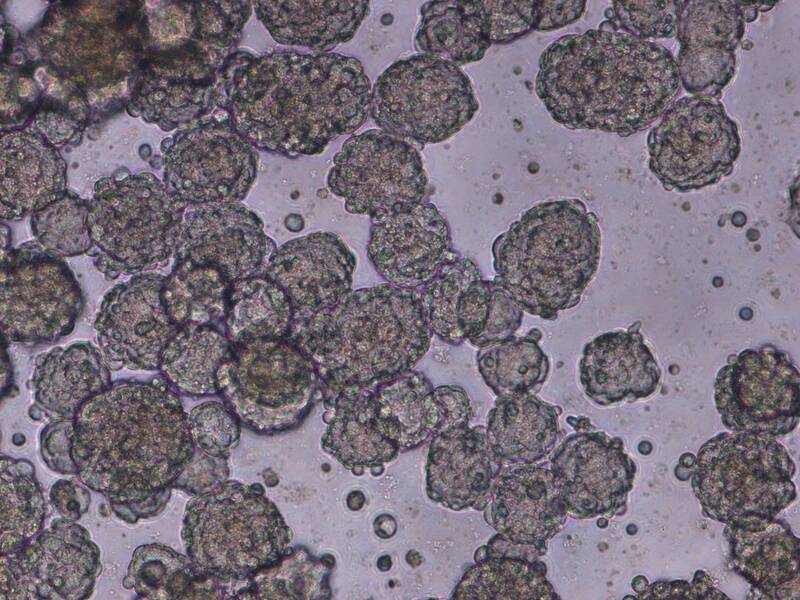 Most of the expanded cultures look normal, some showed the formation of embryonic bodies (the last picture added) but the blastocysts are very different and not really expected. Not the answer you're looking for? 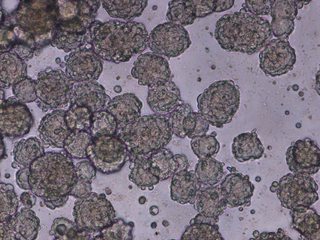 Browse other questions tagged microscopy stem-cells or ask your own question. Does every gland type have stem cells for regeneration? What are these stars in my microscopic image? Can TGF beta family induce all somatic stem cells? Does cheese contain cells of animal stomachs?